As Mental Health continues to be a prime issue of concern in Guyana, particularly the mental health of men, the Guyana Foundation continues in its quest, not only to talk about the problem, but also to be a driving force in the promotion of good Mental Health and Holistic Wellness for all Guyanese. 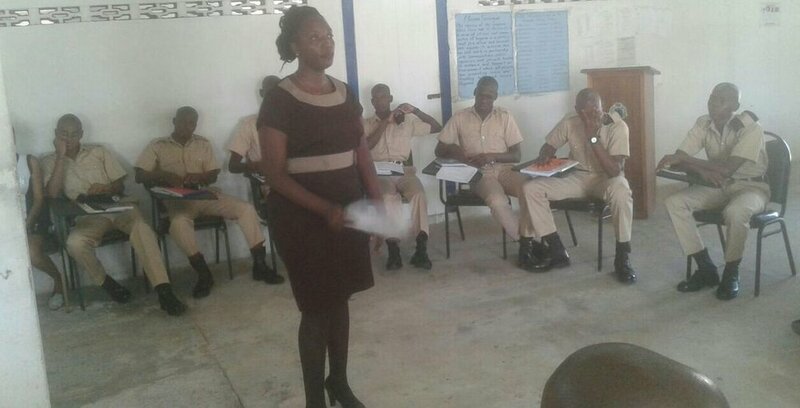 In the year 2017, we commenced a program in partnership with the Guyana Police Force through the Richard Fickal Police College, training new recruits in the area of Mental Health. 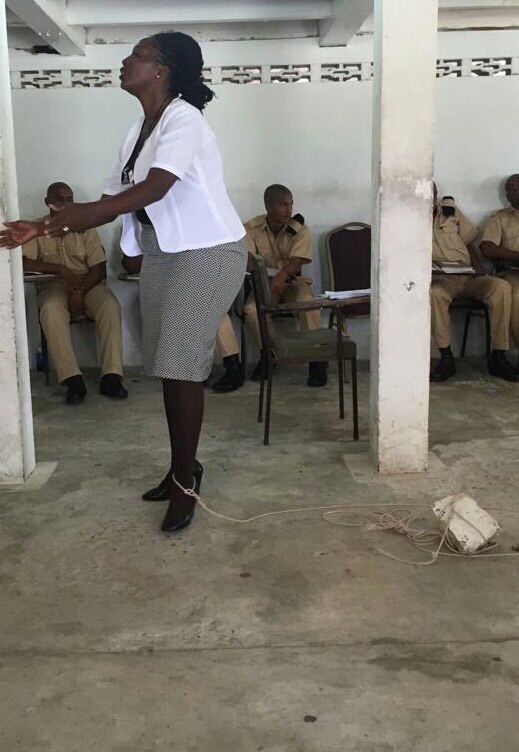 On February 27th and 28th, 2018, staff and volunteers of the Guyana Foundation Sunrise Center conducted a two days’ workshop at the Police College at Suddie on the Essequibo Coast. The workshop took the form of group discussions, role plays, introspection exercises and games all with the objective of having a better understanding of Mental Health primarily the mental health of men. The aspiring police officers participated fully in all of the activities where many of them shared some of their own personal struggles not only as it relates to mental health but also to achieving personal success. Some of the topics covered were as followed; understanding self, benefits of knowing who you are, identifying personal strengths, weakness and values, factors that shapes and build and individuals self-esteem, what does it mean to be successful, setting SMART life goals, the valley of blame and shame how negative life experiences influences the present, understanding cultural norms as it relates to men, understanding mental health, factors that affect and individuals mental health. Overall, the sessions were a resounding success as persons took time to share what were some of the points throughout the workshop that resonated with them and how they intend to apply the knowledge learnt moving forward in their personal lives and career. In her closing remarks to the participants, Manager of the Sunrise Center, Ms. Miriam Hinds told the young men, “… if you are going to be successful in the road ahead you first need to deal with those things in your lives that may potentially serve as obstacles to your success. This means that you must be true to who you are and be honest about your feelings.” She further said, “if you are going to be effective in serving others then you must also be willing to be served which mean, if you recognize that you need help then get the help that you need knowing that it will not make you less of a man”. The session ended with participants expressing gratitude to the organization. A follow-up session is slated for March 27th where the recites will demonstrate through role play what they would have learnt throughout the two days. Sunrise Center Manager, Miriam Hinds poses with staff and volunteers of the center as well as police cadets from the training college. Sunrise Center Manager, Miriam Hinds during a role play at one of the workshops.